Quintessential country English property exudes charm, comfort and some quality details reminiscent of its time. Nicely laid out floor plan includes formal living room; formal dining room and an open gourmet kitchen complete with center island and breakfast bar that blends well with the family room and backyard area for that indoor/outdoor appeal. Fabulous for entertaining. The well-manicured yard is private and enhanced with a heated pool, hot tub, fire pit, courtyard and grassy area. Within close proximity to trendy Montana Ave shops and restaurants, Third Street Promenade and the beach. 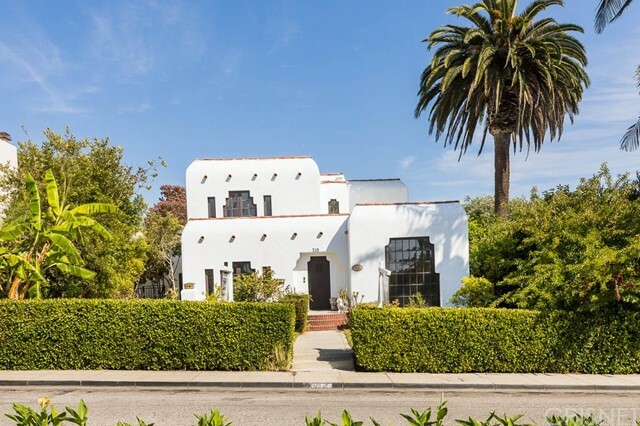 Ideally located in the desirable Santa Monica School District. See Private Remarks.